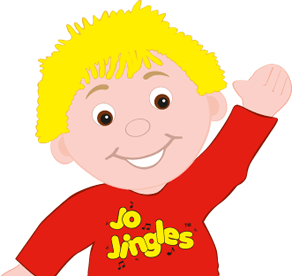 Welcome to my Jo Jingles classes in Bury, Ramsbottom, Haslingden, Crawshawbooth, Rossendale, Rochdale (Castleton), Milnrow, Littleborough and Todmorden. 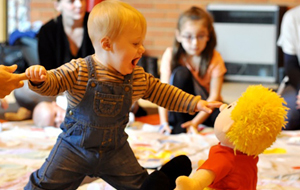 I took my own children to Jo Jingles classes and loved the mixture of fun and music. We lived in Surrey then and I was devastated when moving North that Jo Jingles was not there to greet me! 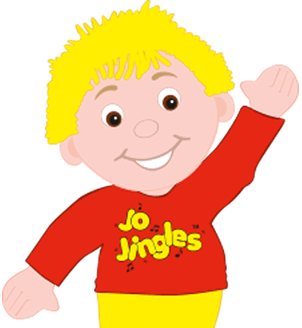 So, when my youngest son went to nursery, I bought the Jo Jingles franchise in North Manchester. I have been running classes for 15 years now and I love going to work every day and having fun and music with my 'Jinglers'. I cannot imagine doing a different job, I see children starting from 3 months of age and watch them grow and develop until they go into school. I have trained Early Years Practitioners on how music provides those vital developmental links to Literacy, Language and Communication. 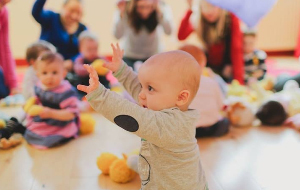 Jo Jingles is exciting, we are constantly introducing new music and activities, and our imagination knows no bounds; which is why parents/guardians enjoy coming to our classes as much as their children. I joined Jo jingles in September 2015. Prior to that my husband and I were in the forces. When our little girl was 8 months old we moved abroad so I got involved in community groups and ran a couple of musical groups for the mums and children. I always found these groups really helped us feel part of the community as they were both beneficial to the children and us mums. Music makes everyone happy and when we settled down Jo jingles was the perfect job. Not many people get paid to have fun! Gill is a vital part of our team! She creates the newsletters and keeps our website fresh and exciting. A mum who brought her children to Jo Jingles, she too caught the Jo Jingles ‘bug’. My little boy has attended the Castleton class for the last 8 months and its been great to see how much he has come on in the classes from falling asleep in his first class to today when he was crawling round and playing the instruments! The classes are fun for the babies (and parents!!)! Would highly recommend the classes to anyone with young children. My boys absolutely love Jo and her Jo Jingles sessions I can’t recommend this enough worth every single penny! My boys absolutely love Jo and her Jo Jingles sessions I can’t recommend this enough worth every single penny! They look forward to it each week and have a ball with all the fun things Jo does during the session!! Wish I had found Jo and Jo Jingles a lot sooner! for Devon and her daddy once my maternity leave finished. was fun for Devon and good for my hubby to chat with other parents. Thank you for being a wonderful Jo Jingles class leader. 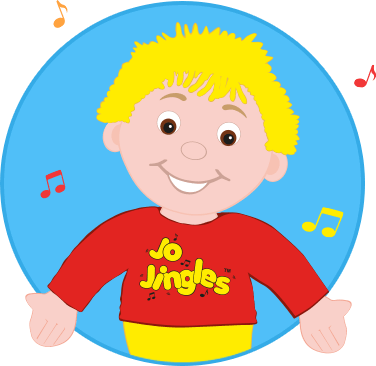 Jo Jingles has been an important part of my children’s weekly routine for the last 6 years. I have three children and we have all attended.. Thank you for all the happy memories you have given us over the last 6 years. Just a little note to say a huge thank you, Madison and Georgia have loved coming to your classes. Just a little note to say a huge thank you, Madison and Georgia have loved coming to your classes; Madison since she was a few months and Georgia since she was 2 weeks old! Each week they have loved taking part in the different themed classes and playing all the different instruments. Your classes have been great for their development and also social skills. We’ve met some lovely little children and their parents/ grandparents over the years. They will really miss not coming to Jo Jingles and so will their Mummy! Lottie and I just wanted to say a very big Thank You for all the hours of Jingling fun we’ve enjoyed with you. Lottie and I just wanted to say a very big Thank You for all the hours of Jingling fun we’ve enjoyed with you. It doesn’t seem two minutes since I signed up with my 4 month old little dot, worried about being the only mum in the class with a special needs baby. How far me and Lottie have come since then! Thank you for providing such a lovely welcoming environment – in which Lottie has truly blossomed (to the extent where she seemingly considers herself your right hand woman). I put her love of music and passion for tidying firmly at your door and will always be grateful.